Images captured during 2010 at Lindo Lake in Lakeside, California. 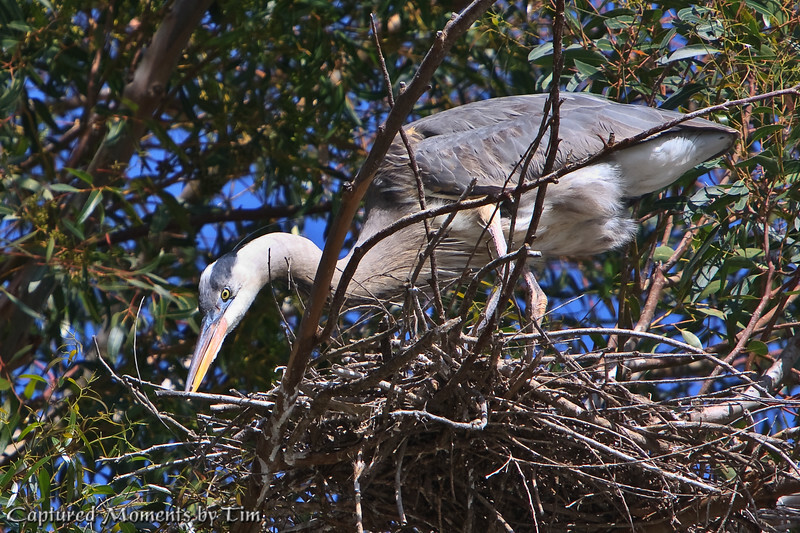 A Great Blue Heron (Ardea herodias) carefully places a branch in just the right spot as it fashions its nest. Taken at Lindo Lake in Lakeside, Ca.